Water availability and quality is a very important topic for growers of all sorts and sizes. 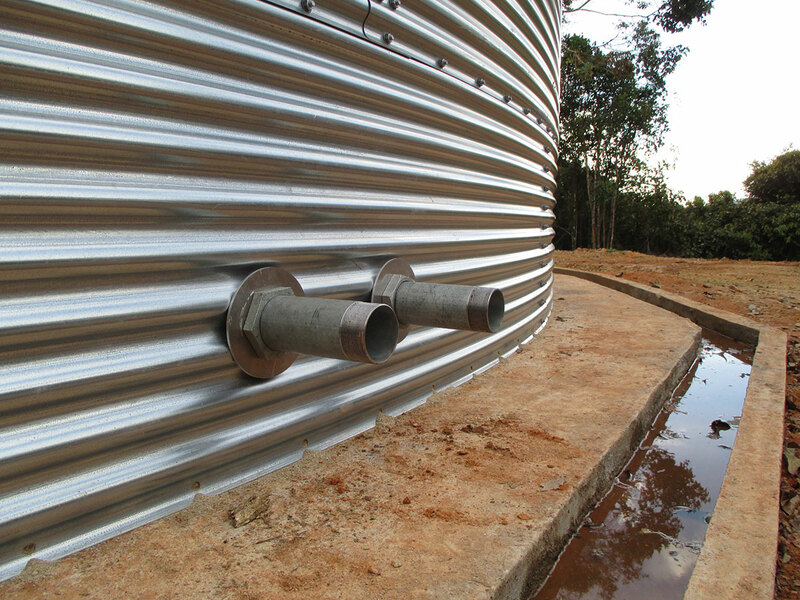 It can be very important to choose the right water storage solution, especially in area’s where water availability is scarce or fluctuates. 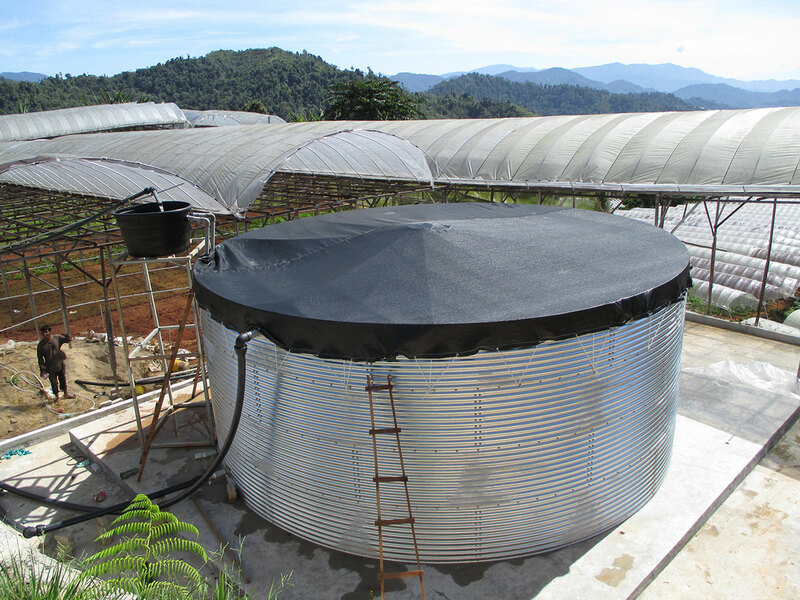 Galvanized steel water tank with liner and dust/algae cover. The water tank is basically a ring made out of high quality stainless steel plates that are easily bolted together. 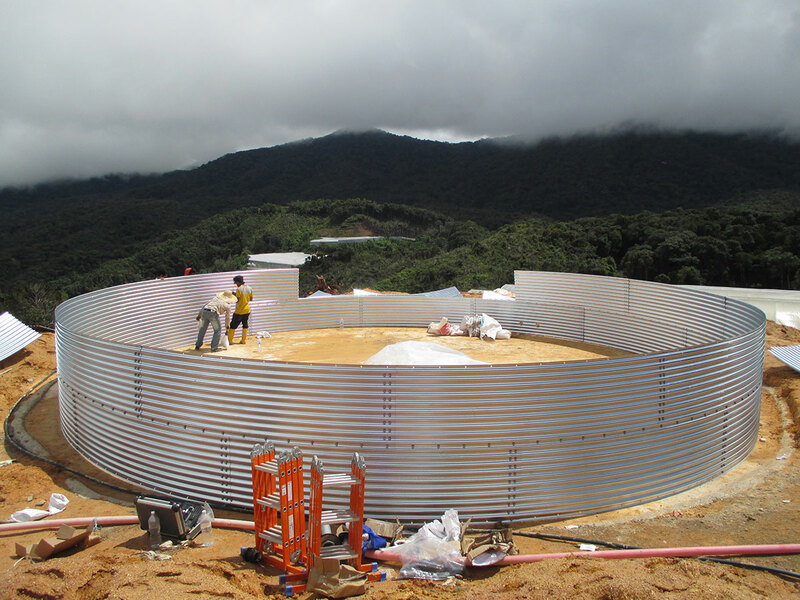 The tank is sitting on a foundation of a concrete and a high quality liner is covering the inside of the tank. 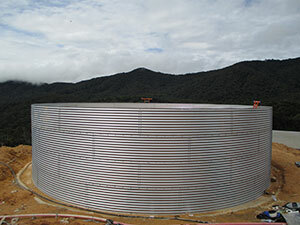 A special tank-cover is used to protect the water from dust and sunlight and therefore the growth of algae in the water. These galvanized steel tanks show multiple advantages over concrete water storages, such as hygiene, installation time and ease, life span, movability and cost efficiency, and is therefore the best alternative. Want to learn more on how we can help you? Contact us today and lets discuss how we can help you set up a sustainable development.